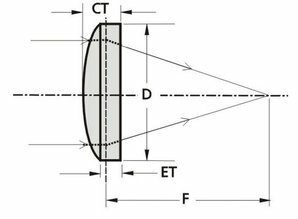 They are widely used in telescopes, microscopes, collimators, optical transceivers, magnifiers, condenser systems and eyepieces. 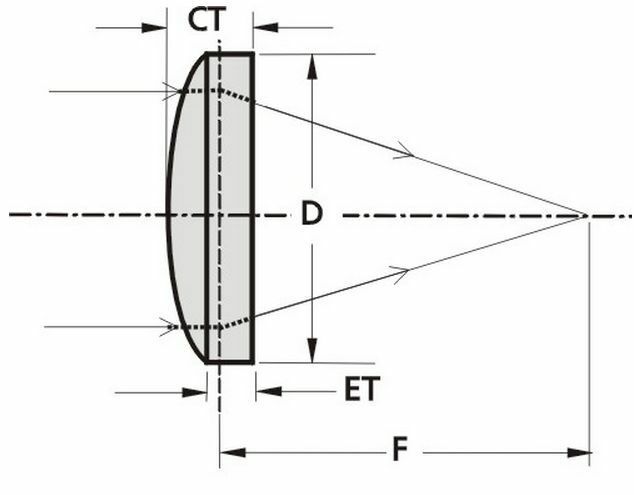 Plano convex lens made of BK7, UV FS (UV grade Fused Silica), CaF2 (Calcium Fluoride) are available. For required coating please refer to the COATINGS section. We can supply custom cutting, edging, coating or complete fabrication if required. Catalogue disponible en ligne. Voir la description.